From a consumer perspective, access to loaner vehicles is a major factor in service location choice—both in terms of franchised dealer versus independent repair facility, and among franchised dealer locations. Loaner vehicles help to overcome the inconvenience of having to drive further for service, and from having to wait at the dealership or make alternative transportation arrangements. From a dealer’s perspective, placing consumers in loaner vehicles takes tremendous pressure off service throughput. A “waiter” is much more sensitive to service delays than a consumer returned to their daily routine in a loaner vehicle. In addition, a consumer with a loaner is more likely to approve an additional service request, because the unexpected additional time without their vehicles won’t affect their schedule. Sounds like a win-win situation. Yet many dealers have not embraced loaner programs, and often limit them to the minimum requirements of the manufacturer. Rather than view loaner vehicles as a strategic asset that improves the customer experience and gives them a competitive edge, dealers focus on the expense, difficulty of managing the fleet and on the occasional customer who misuses the service. Here we’ll address these three common myths about loaner programs. The real issue here is that the expense is immediate and easily recognized, while the benefits are more subtle and long-term. For this reason, dealers have a hard time determining the right investment. In addition, most dealers fail to build processes that optimize the return that can be gained from loaner vehicles. For example, loaners should be an explicit closing tool to convert additional service needs. When confronted with “no,” try offering loaners instead of discounts, particularly to waiters. Also, loaners can be used on an ad hoc basis to relieve waiting room pressure when operations fall behind, rescuing dissatisfied customers. Scheduling multiple shifts and expanded weekend hours also streamlines loaner utilization, reducing the cost per RO. Instead of viewing loaner vehicles as an expense that needs to be managed, view them as tools that can help maximize service revenue and improve the customer experience. Calculate the incremental cost of each loaner vehicle and estimate whether you generate sufficient incremental ROs or RO dollars to cover the cost. If not, think about trade-offs that hold as much value as possible; e.g. expand coverage to your best customers only or in key situations, such as the last visit before warranty end. Most dealers are not skilled in managing fleets, which is why many still outsource this function to Enterprise. Poor fleet management and infrastructure contribute to unnecessary expense and result in an unsatisfactory customer experience. A fundamental shift in mindset is necessary. At most dealerships fleets are managed by controlling the overall budget, not by viewing what form of alternative transportation best meets the need for customers and helps to maximize long-term dealer profitability. To those of us who rent vehicles nearly weekly or have used Zip Cars, it’s difficult to understand the antiquated sign-out and sign-in procedures at dealerships. It’s time to look into new technologies that facilitate a convenient process. Use technology to drive higher appointment rates and better understand when loaner access limits appointments, so that you can reduce the bottleneck. Besides, when subscriptions become a meaningful part of the industry, dealers will have to become experts in fleet management, so you might as well start practicing with loaner fleets. While some consumers do abuse the service, most drive the car respectfully, pay their tolls and return the vehicle in a timely fashion. Habitual abusers should be removed from the program. Fortunately, these are the exceptions. To help reduce abuse, it’s important to convey a clear, positive message to your customers up front. Ask them to respect guidelines so that the vehicle can be made available for others. This is better accomplished online than in person and separated from the formal contract. People are more likely to read and acknowledge simple guidelines on their computers than on paper when buried in paragraphs of legalize, when they are anxious to go on their way. The most frequent abuse is not returning the vehicle in a timely fashion. Again, we should start with clear expectations and then look internally. Is it reasonable to expect the customer to return the vehicle before 6pm when we notify them at 5pm? The better we keep consumers informed about the actual completion time, the better they can plan their redelivery. Second, we need to look at alternatives, such as Uber vouchers or pick-up services to handle situations such as airport runs or when a customer brings a vehicle home because the dealership missed their promise time. 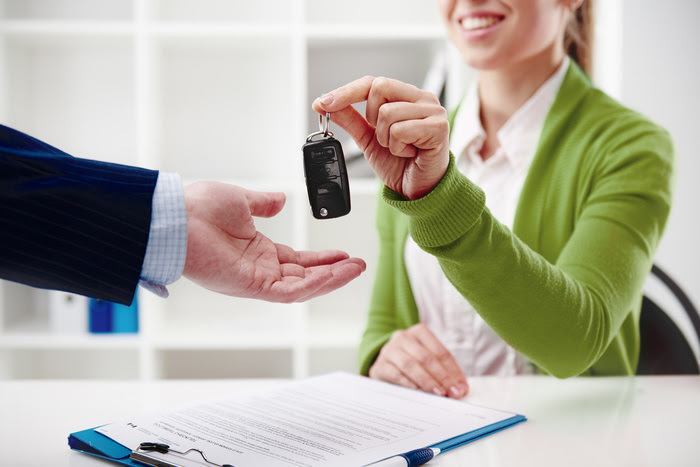 Loaner cars are a strategic asset that give dealers a competitive edge. With proper management, technology and processes in place, they don’t have to be a resource drain. Loaner vehicles improve the customer experience and can help boost long-term, incremental service revenue.